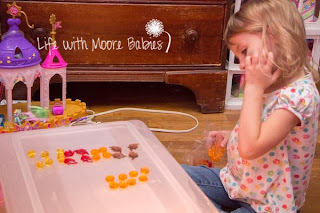 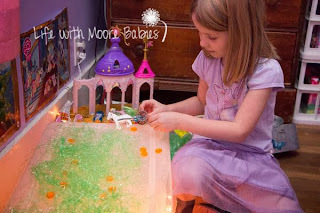 A light box is something I have always thought my kids would enjoy, but I never wanted to spend the money on one. Finally I got around to making our own. 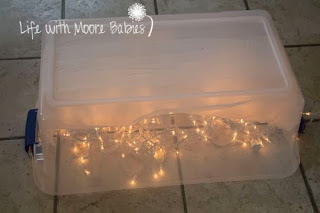 I used a large, clear, Rubbermaid container, two strands of Christmas lights, and press and seal wrap (love that stuff). 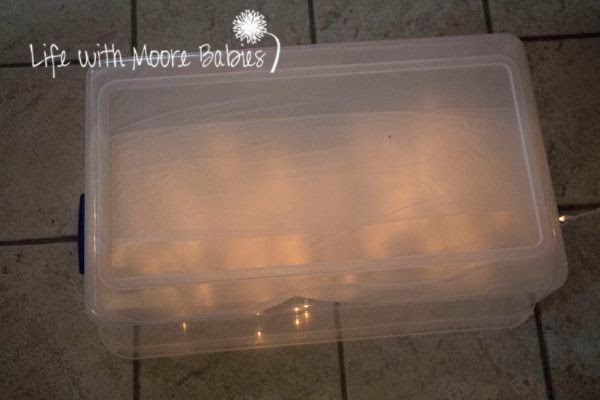 I lined the bottom of the container with the press and seal wrap (the top may have been a better idea, and I may do it too), and I stuck the lights inside! 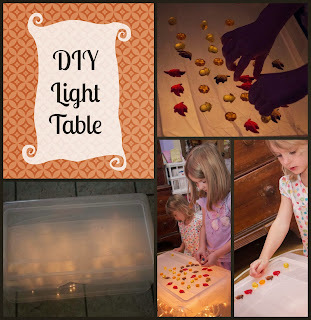 All done, homemade light table! 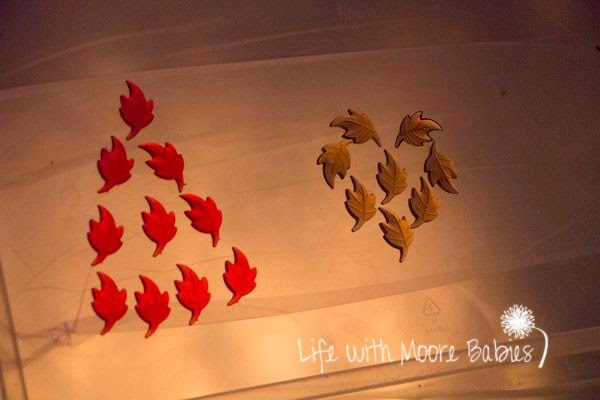 I had found these cute little fall themed plastic pieces at Target that would be perfect for the light table. 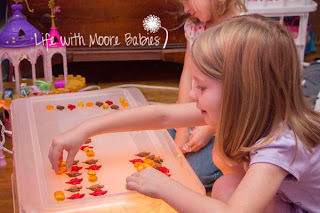 The girls were enthralled with it! 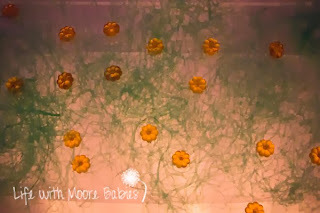 Then I got out some Easter grass and made a pumpkin patch! 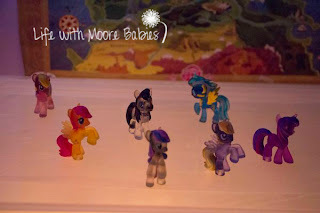 After their Lego people had collected all the pumpkins we got out our tiny crystal ponies; because nothing can be done without ponies! 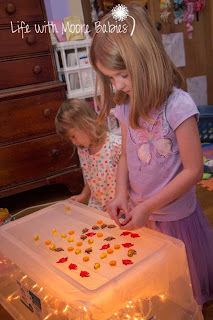 Overall the girls were quite pleased with their little light table (I was too) and played with it most of the afternoon! 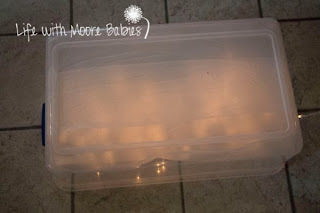 And bonus, you can store all the lights in it!